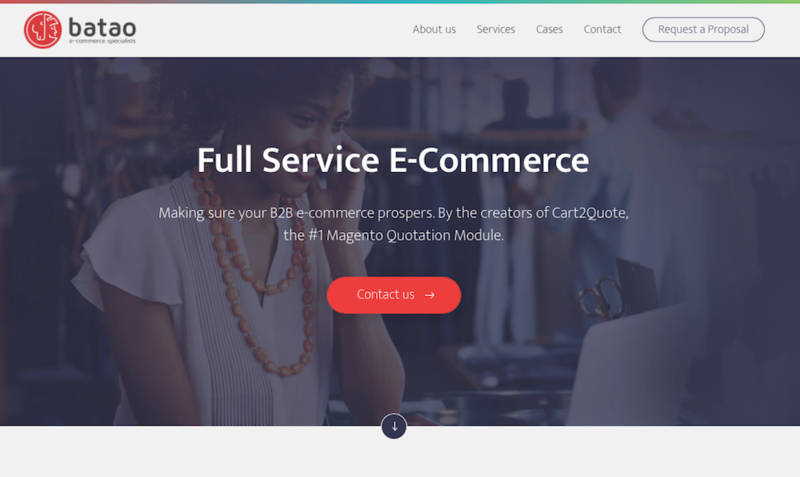 The creators of Cart2Quote have launched a new service: Batao. We now offer Full-Service e-Commerce Solutions for B2B companies. Are you ready to prosper? B2B companies find out that simply having a website online is not enough any longer.  Your catalog, your company information, and a "buy-now-button"? If that is all you have to offer online then it's simply not what your customers are satisfied with. At Cart2Quote, we have been helping 7000+ companies to make their e-shops work better for B2B e-commerce. The main tool for that was the implementation of a quotation functionality. Instead of having to buy straight away, customers can simply ask for a quotation instead. Of course, what this does is strengthen the communication between you and your customer, which is an important attribute in business-to-business. Now, with the birth of Batao, we are dedicated to taking it a step further. Over the years, we have had many customers asking us 'can you please do our website'? For some time we had to say no and focus on the product Cart2Quote, but after having done tons of customizations on Magento websites, order processes, and B2B workarounds, we have decided to indeed take the plunge and start making it official: We build complete and successful e-shops. What do we mean with "successful"? Simple. Web stores are made to sell stuff. We make web stores that sell your stuff better. At Batao, we work with a team of highly skilled professionals. A team with a wide range of skills, so we can really offer you a full-service solution for your B2B e-commerce. As Remco de Jong states on the Batao website, "we are a team of top-class professionals, committed to giving you the best service and delivering successful e-commerce projects." With over 10 years of experience in making both B2C and B2B companies work online successfully, the team has a unique diversity of expertise that ensures you that we have what it takes. We know, looks don't say everything, but we know the importance of the user experience (UX). So when we design websites, we always have your customer in mind. What does he expect, how does he think, where do we place which information and, very important, how can we lead your customer to convert? Whether you just need a website that works with your existing branding or you need to rethink your complete corporate identity, we help with a successful translation from idea to end product. Always remembering that design is not a goal in itself, but it will help to convert visitors into customers. We do not only think about your customer (frontend), we also think about your team (backend)! At the end of the day, your team has to work with your e-commerce channel day by day, and we want them to be on top of their game. So we create online platforms that work easier, faster and smarter. Your company probably already has a number of procedures in place. When these procedures are important and there to stay, we will make sure that your website will work seamlessly with these procedures. So we create integrations to be a bridge between your e-shop and your existing company procedures. After your e-commerce website is ready, we won't let you go unprepared. We will still help you with our support team, making sure that any changes, hiccups, and challenges are handled correctly. Besides support, we can also help you with your online marketing. Copywriting, writing blogs, Google Adwords, Facebook, Google Plus, you name it, we can handle it. When you choose a name for your company, you do it deliberately. So did we. The name "Batao" is derived from an ancient Dutch tribe, the Batavi. An old ally of Rome, they were held in high regard for their horsemanship and skill in swimming and moving across rivers without breaking ranks. The historian Tacitus described the Batavi as 'some kind of amphibious shock troops'. Now, being from the same area where this ancient tribe used to live in The Netherlands, we love to identify ourselves as a team of people who are dedicated to complete a task successfully. Whatever comes in our way; water, lands, technical difficulties or unknown territory, we will make sure that it gets done without breaking the ranks. At your service. We would love to hear your story. What are the dreams you have for your company? What challenges lie ahead, what new grounds are you looking to take? And how can we help? Visit batao.io, fill out the contact form and let's talk soon!